A bake at home cookie mix to make delicious Gin Cookies. A fun and unique gin themed personalised gift for any occasion. 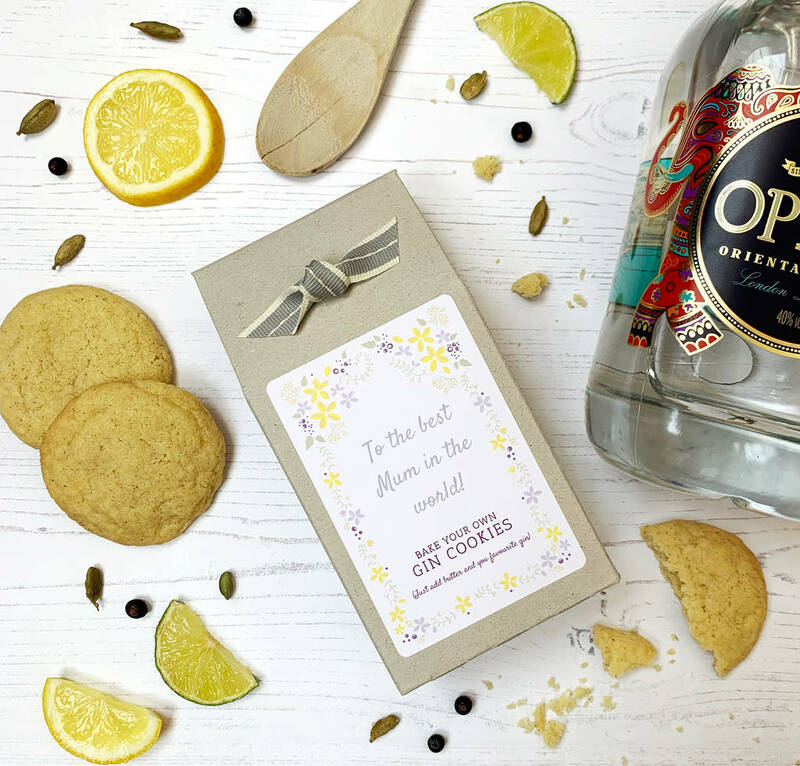 Who doesn't love Gin and a delicious biscuit? Now you can combine the two with this bake your own Gin Cookie Mix. Flavoured with the botanical, cardamom, this cookie mix makes delicious melt in the mouth gin cookies. Just add melted butter and your own favourite gin, follow the foolproof instructions and bake. 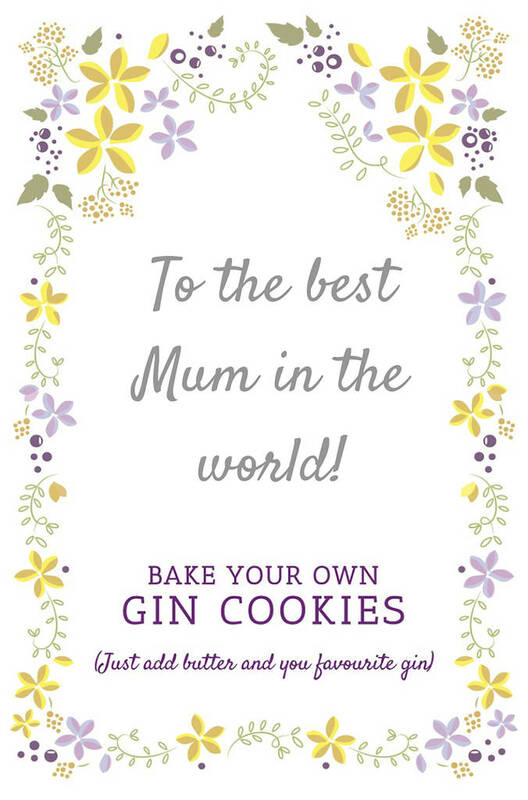 The Gin Cookie Mix comes with a label that can be personalised with your own message. Personalisation is at no extra cost. Just enter your own personalised message in the option box. All our mixes are made with only the highest quality ingredients, including British flour and no artificial colours or flavourings. Suitable for those with an egg allergy as it only requires the addition of melted butter. 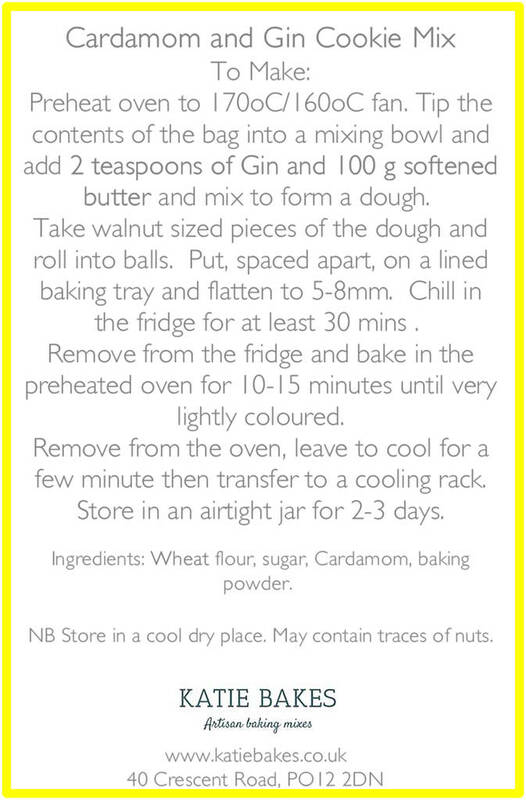 Whilst the mix does not contain nuts it is packaged in an environment which handles nuts. The boxes are made from recycled cardboard with a ribbon decoration. The mixes in the boxes are packaged in polypropylene bags for freshness. Box dimensions H 16cm x W 8cm x D 4.5cm.